stone calibration machine is a kind of processing the thickness of the stone or artificial quartz plate of special machinery. calibration machine generally divides two process coarse grinding and fine grinding, milling way to stone material according to the technological requirements processed into the required thickness. utand stone machinery is the best on the market of stone calibration machine factory, the production equipment of higher quality, better performance, more advanced technology. 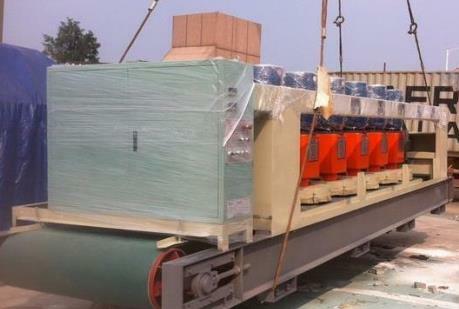 utand stone machinery type is the direct manufacturers, production equipment not only quality and good after-sales support, and to reduce the process of users to buy equipment, the production price lower of stone calibration machine, thus reducing the user's previous spending, makes them get more considerable profit. utand stone calibration machine manufacturers biggest advantage is the equipment quality, is also the user's attention, when buying equipment at the same time it is also the most key factors that affect the user later production, high quality equipment users in the production of down time is short, and the amount of unit energy consumption equipment is low, can lead to higher profits for the user's production, but the higher the quality of equipment, the greater the corresponding manufacturer in production costs, thus makes the high quality of stone calibration machine price on the high side, on the contrary, the price of the equipment is low. utand machine manufacturers production stone calibration machine affordable, quality is reliable, and the equipment model is complete, the user can according to the actual production in production demand, to select the right equipment for production and processing, improve the efficiency of the user in the production, increased equipment unit production.Welcome to utand stone calibration machine manufacturers!